Wilson Richard Bachelor was born November 29, 1827 in Lawrence County Tennessee to Wilson R. Bachelor, the elder, (abt. 1775-1858) and Alcie Odom (1790-1848) Both parents came from North Carolina and were of English heritage. Children of the union were Moses B. (Jan 11, 1808), William Skidmore (Apr. 1816), Hannah Delaney (abt 1819), Sarah R. (abt.1824) and Wilson, the younger. The first three were born in North Carolina. Sarah and Wilson were born after the family migrated to Tennessee. Wilson , the subject of this discourse, spent his childhood in Hardin County ,Tennessee. Wilson was probably educated in the Hardin County schools. As a very young man he began teaching school and continued for several years. At the age of twenty, in December of 1847 Wilson married Sarah H. Tankersley of Hardin County. Throughout this period he also was studying medicine. In the 1860 census he was listed as a physician. Dr. Bachelor was a Republican and was sympathetic toward the north during the Civil War. After the war he was appointed to the position of National Cemetery Superintendent in Hardin Co. It was short-lived. He resigned, possibly over a dispute about whether both Union and Confederate soldiers should be buried there. In 1970 he moved his family to Arkansas settling on 250 acres in Franklin County south of the Arkansas River near the town of Ozark. Some of his siblings had moved to Hot Springs, Arkansas previously. At this time he and Sarah had borne eight children – one had died in infancy. Two more children were born in Arkansas. Dr. Bachelor was a liberalist, a “free thinker” (emphasizing science and reason over supernatural – thus rejecting formal religion). 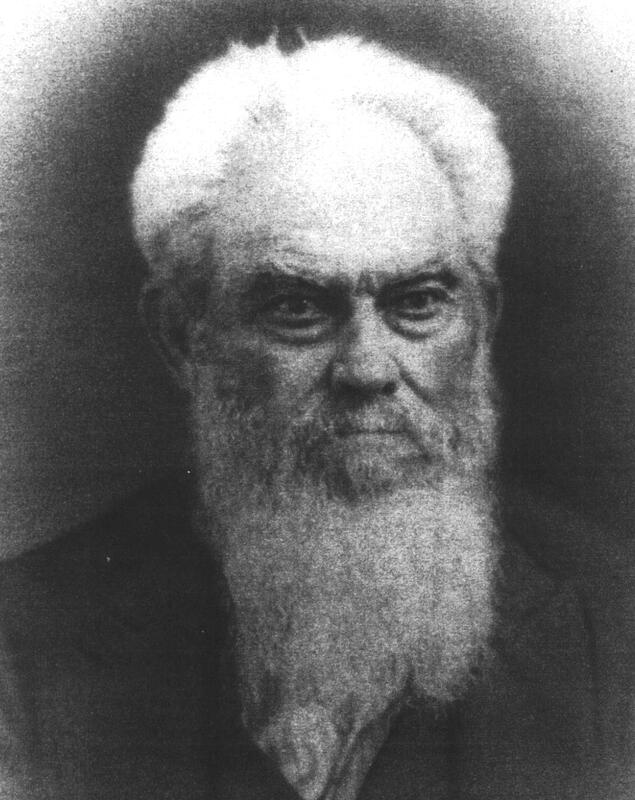 He helped found the Masonic Lodge in Ozark but was expelled for his beliefs, yet was later eulogized by the lodge at the time of his death. His philosophy of living and thinking was published—often in near poetic language—in letters to editors, essays about women’s rights, evils of capital punishment, and his free thinking ideas. He wrote one known monograph entitled, “Fiat Fluz” espousing free thought. He kept a diary of his medical practice describing, among other medical problems, his obstetrical patients and the gunshot wounds in an undisciplined western Arkansas. It included unusual patients: one with hydrocephalus and one with a hatchet wound to the skull. Each entry was explicit with terms current to medicine as practiced at that time. There were patients who came to Dr. Bachelor and stories of him going to patients’ homes. Dr. Bachelor died on May 5, 1903 in the community of Pauline in Franklin County Arkansas. He was in his 76th year.